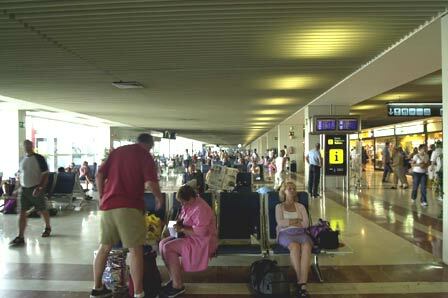 Alicante Airport is around the 7th busiest Airports in Spain and serves destinations such as Alicante itself, Benidrom, Denia, Calpe, Torrevieja and all points along the Costa Blanca. 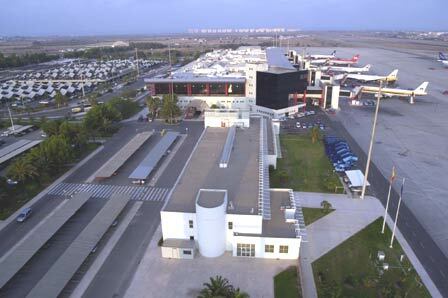 Alicante airport is situated 9 kilometres southwest of the capital, in the municipality of Elche, in one of the most dynamic and up and coming business and economic zones on the Mediterranean coast. The essential role played by tourism is reflected in the percentage of international passenger flights that this airport handles and which make up eighty percent of the total. The main countries of origin of these passengers are the United Kingdom, Germany and Holland. Furthermore, scheduled domestic traffic has increased in recent years. The destinations most in demand are Madrid, Barcelona and Palma de Mallorca. To adapt airport capacity to the growing air traffic demands, significant infrastructure improvements are being carried out, particularly in the passenger terminal control area. 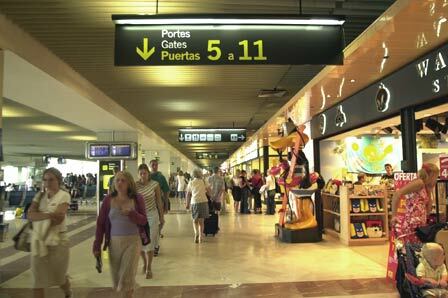 In 2005, Alicante airport handled 8,796,321 passengers, 76,100 flight operations and 5,193 tonnes of cargo. The acquisition of the land on which Alicante Airport is located began in November 1964, and several months later construction work started on a 2,700 metre runway, a taxiway, rapid exit roads and the installation of an ILS system. On 4 May 1967, Alicante's new airport opened to domestic and international passenger and cargo traffic, while La Rabassa airdrome closed. That same day the first plane, a Convair Metropolitan of the airline Aviaco, landed. The airline Iberia joined the airport's traffic in November 1969 with its Alicante-Madrid and Alicante-Barcelona routes. 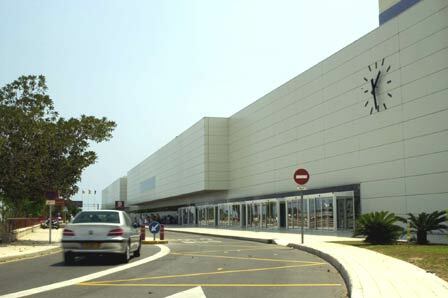 The growth in traffic was immediate, since all the tourists heading for Alicante's coast, who until then had to travel to Valencia Airport, changed to Alicante Airport. In 1970 the number of passengers almost reached one million, which made it necessary to construct a new passenger terminal, the first stage of which started in June 1972. The new building was only used for international flights. The second phase was concluded in 1974, and domestic traffic was incorporated in March 1975. The sustained increase in traffic reached two million passengers by 1978, which meant that the passenger terminal needed to be reformed and the aircraft parking facilities to be extended by sixty thousand metres squared. For operative reasons, the runway was extended by three metres. In 1996 the refurbishment was completed. The airport was now able to handle the nine million passengers which would soon be using the facilities. Five fingers were installed for boarding, and a new office building for airlines, an operations centre and a business area were constructed. The capacity of the vehicle parking facilities was also enlarged, a new rapid exit road was constructed towards departure point 28 and the aeroplane apron was enlarged.